Took this off my Fusion after 8K. Oil was MC semi-syn 5W20. 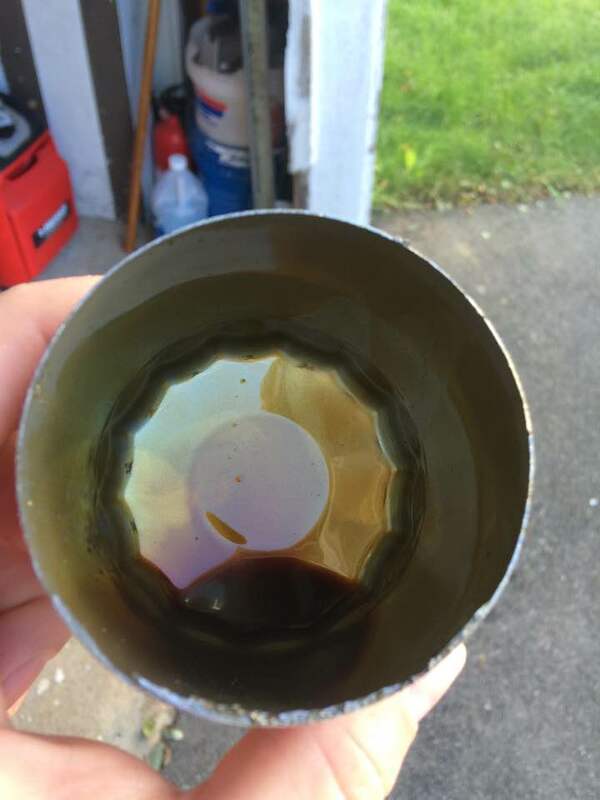 I used a sawzall to open it so some small bits of metal ended up in the bottom of the can, so that's what you're seeing. When I first opened and drained it, it was totally clean and had no sludge or metal particles whatsoever. It appears to me that the 910S is a rock solid filter and not subject to any quality issues. Last edited by Peter_480; 10/28/17 09:41 AM. Looks real good, I'm sure that'll disappoint some members here . That's what I use with the 2.3 EB in our Explorer. 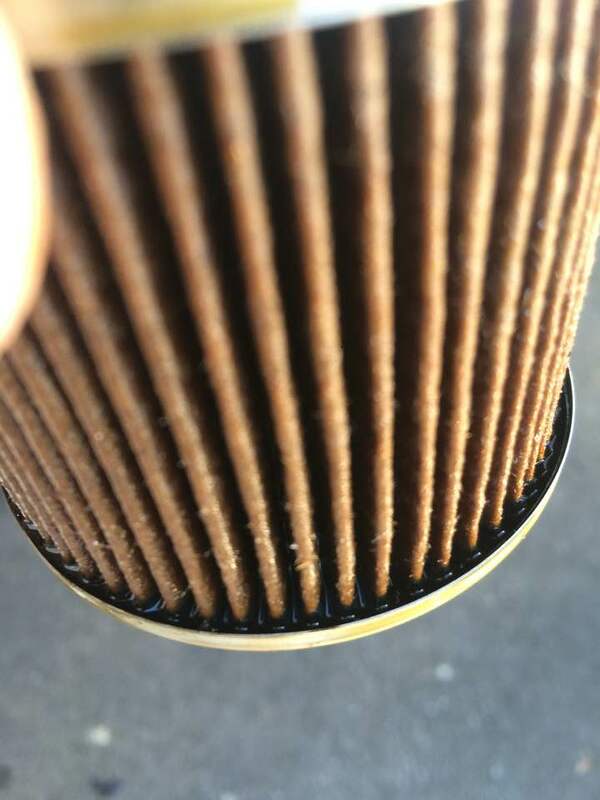 I ran it for 7,000 miles using Mobil 1 5W-30 and the insolubles were .2%, a good reading indicating the filter is doing it's job from what I observe. It's a much smaller filter than the FL820S so maybe it's less prone to tearing. That's what I use with the 2.3 EB in our Explorer. 2.3 EB uses a 3/4"-16 thread filter? Not 22mm like the FL500S uses? This. This one does look good. Looks excellent at a substantial 8k miles. As for the other topic of discussion, 'generally speaking' with the exception of the 820S, the MC post use anecdotes have looked good. Though not all posted here are, the 820 seems to be the weak link. Yes, some say it's interchangeable with the slightly larger FL400S. It gets confusing coming from the same vehicle manufacture, some metric some imperial. As I understand the FL500S is a slightly smaller version of the FL820S (metric) and will work in it's place. In fact it appears to have replaced the FL820S on engines that originally used the 820S. 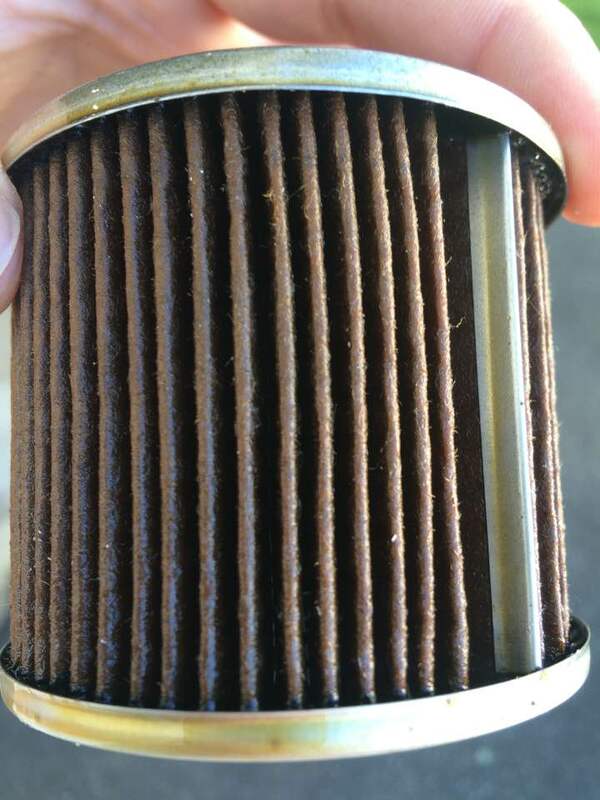 The FL910S is a small filter but I guess if you start with a clean engine and maintain it it'll do just fine. Totally forgot to mention - vehicle has 114K on it. Thanks for the feedback so far. I was a little worried what I might find based on what I have read here, but was very pleasantly surprised. The media was still very firm and intact. It certainly could not be damaged by just finger pressure. 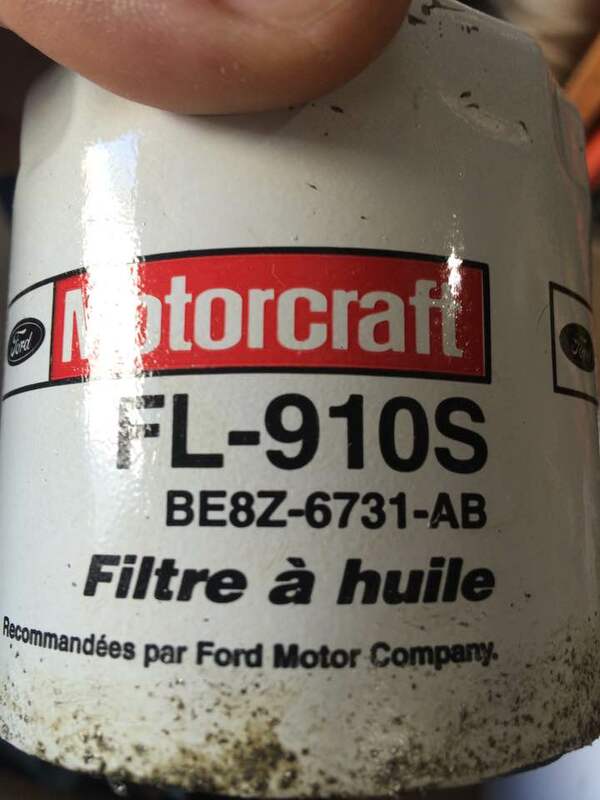 I believe Ford or Motorcraft is aware the FL820S design is weak and is migrating to a smaller diameter filter in more recent engines. The pleat spacing of the smaller diameter filters is closer/better as observed by cut&posts on BITOG. I have an 820S off my truck to cut open soon. It only has 2K miles on it so probably not a good example of typical 820S problems, but will still be interesting. It will likely do well in 2000 miles. It will likely have the wide pleat spaces near the media seam. This is the location where the tears form. The filter has to load sufficiently so that delta p can put stress on the media. 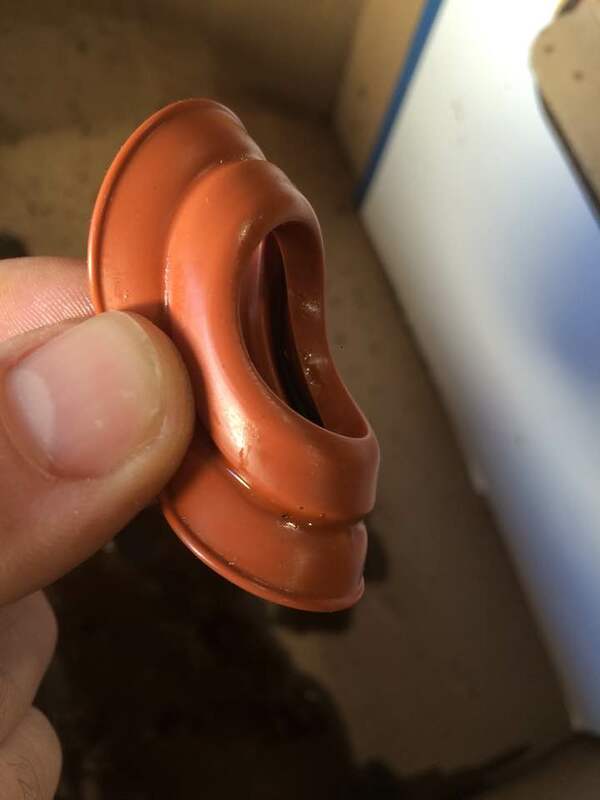 You might also see some rust on the end caps. Very well stated Peter_480! ALL MC oil filters are top quality oil filters! BOF, you still think it never happened or can't happen? I've used MC FL910s for several years and they all looked fine. My 2007 Fusion takes the MC FL2017 Cartridge. I have tried other brands(Fram, M1, etc) in the 2007 Fusion and they all seemed to collapse and twist a bit. The MC has never done that. Am due for an oil change soon, so perhaps I will post a pic if I can still figure out how it's done. I will post a pic if I can still figure out how it's done. Just upload the photos through the Post window. 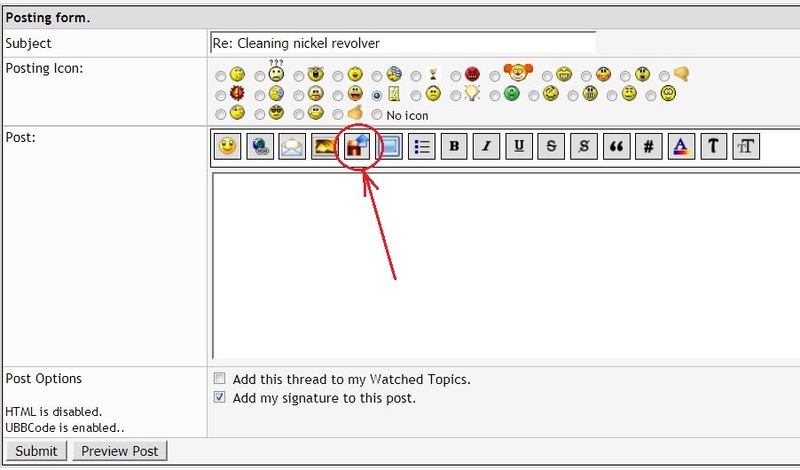 Click the icon in the red circle to upload photos from your computer.